It's definitely winter out there in Central Indiana. Snow, slush and salt bring an added challenge to keeping your floors clean and well-maintained. We have a few tips for you to keep your floors clean in these winter months. Remember when you used to come in from playing out in the snow and your mom made you take off all your boots and winter clothes on a towel before coming in the house? Well, mom was on to something. The best way to keep your floors clean is to stop the outside from coming in. Find ways to keep people from tracking in the outside and your floors will thank you. Whether it's a boot tray, a door mat, a sign reminding people to remove their shoes - or even a towel laid out on the floor - they will all stop the outdoor elements from soaking into your floor. Walk into your living room to see a track of dirty, icy footprints greeting you? As quickly as possible, pick up the dirty ice and dispose of it. Removing loose soil while it remains on the carpet surface prevents dirt from being ground into the carpet pile. Next, get out the vacuum to remove any remaining dirt. Worried about your hardwood floor? Salt particles and dirt can act like sandpaper and ruin the finish of your hardwood floor. 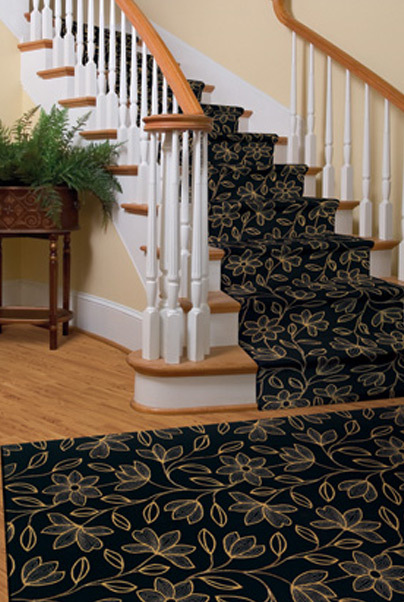 Keep floor mats at all entryways and shake them out regularly. Sweep your floor daily and do your best to wipe up any melted snow puddles that might get tracked in - water is not a friend to your hardwood floor. Kermans Flooring retail showroom, located at 4505 E. 82nd Street on the northside of Indianapolis, showcases beauty, quality and excellence. Kermans believes in carrying only the finest names and selections for our clients and designers.